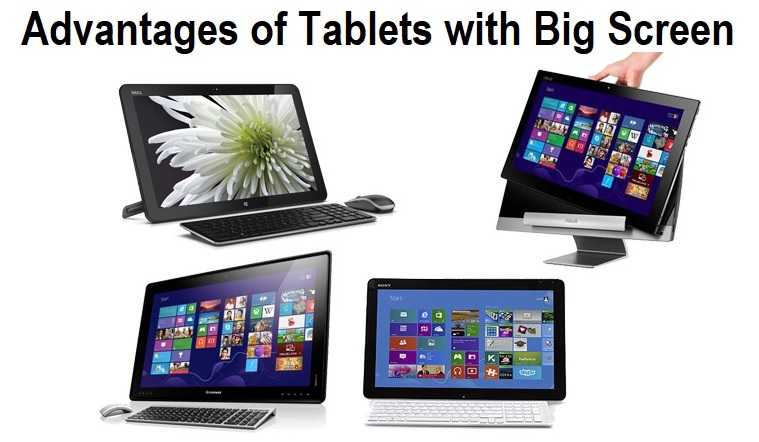 Advantages of Tablet with Big Screen | Are Large Screen Tablets Better? Unless you’ve been living under a rock the past couple of years, you’ll have noticed the influx of tablets getting bigger and bigger and bigger as each season passes. It doesn’t matter whether you’re looking and shopping online, or watching your favorite tech influencer, it seems like anybody into tech will have their own large-screen tablet. Easily the best feature of 10-inch tablets is the fact that it combines what’s great about a smartphone and what’s great about a computer and blends it together into one powerful device. This is ideal since they can be much more affordable and are much more versatile. This makes multitasking much easier, and the flexibility you have when it comes to any aspect of your personal and professional life is second to none. Since a large screen tablet is large than your typical tablet and much larger than your standard smartphone, this means there’s more than enough room to share the content that’s being viewed. Whether it’s being snuggled up on a sofa with your partner and kids or sharing information in a meeting, there’s no need to step on each other’s toes. While smartphones may be limited on screen size, and computers may be too bulky and expensive, tablets provide a great middle ground that tech enthusiasts love. It doesn’t matter whether you’re looking for an Android or iOS tablet, there are a ton of applications that can help you do anything. With the ability to do anything, every single area of your life can be improved and optimized, and any task can be completed, regardless of where you are or what you’re doing. Despite all the features and functions, a tablet can provide; most tablets are still extremely affordable. This means that people on low budgets, and those on extensive budgets, have the ability to choose the unit that’s right for them, rather than being stuck to a limited selection. Despite all these amazing features that a large screen tablet can provide to its user, the fact of the matter is that these tablets remain 100% portable. It doesn’t matter what you’re using them for, or what kind of activities you’re engaged with; you can still use it whenever you want and wherever you are in the world! When it comes to large screen tablets, there’s no denying that there are a ton of features that you can enjoy, and they can bring to your life. If you’re looking for a tablet to call your own, make sure you’re doing your research beforehand to see which one works best for your individual requirements and needs.